India's Largest 2-day Multi-Genre concert. Comio India EVC Mumbai 2017 powered by Saavn is India’s largest 2 Day Multi-genre concert introduced by the promoters of Enchanted Valley Carnival. We are bringing together some of the most popular, electrifying & massive performers from across the world to come perform on one platform. 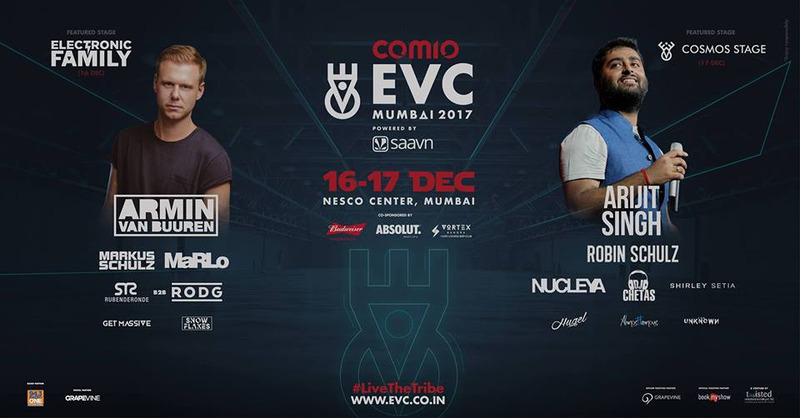 EVC’s Tribe is a buzzing community of like-minded people, constantly looking to do something new and getting together to enjoy the music & the vibe over the two days of the concert.